A town meeting is the setting for this case study in which students explore the topics of overpopulation, bioethics, and management of urban wildlife. The case makes use of role playing, small group discussion, interrupted case techniques, and critical analytical reflective papers to enable students to examine a common urban forest management problem. 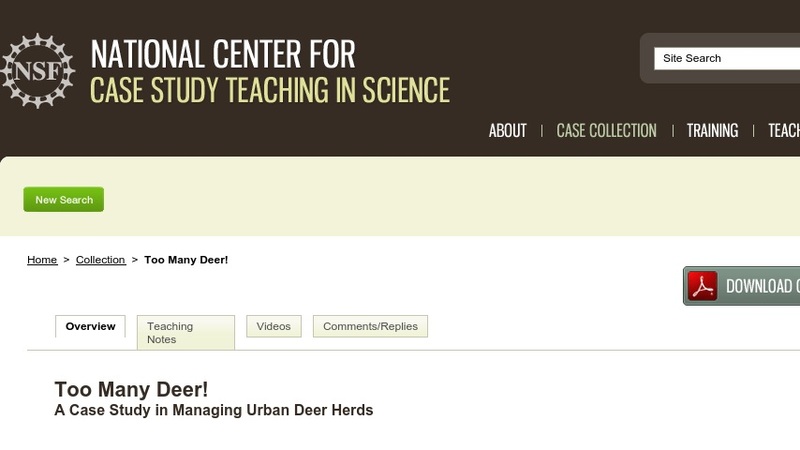 Hidden within the examination of making decisions about deer herds is a set of questions that brings out the scientific method and its application. Although developed for a non-majors biology course, by restructuring some of the activities and asking different questions the case could be successfully used in an introductory biology course for majors, an ecology course, a conservation biology seminar, or a course on bioethics.